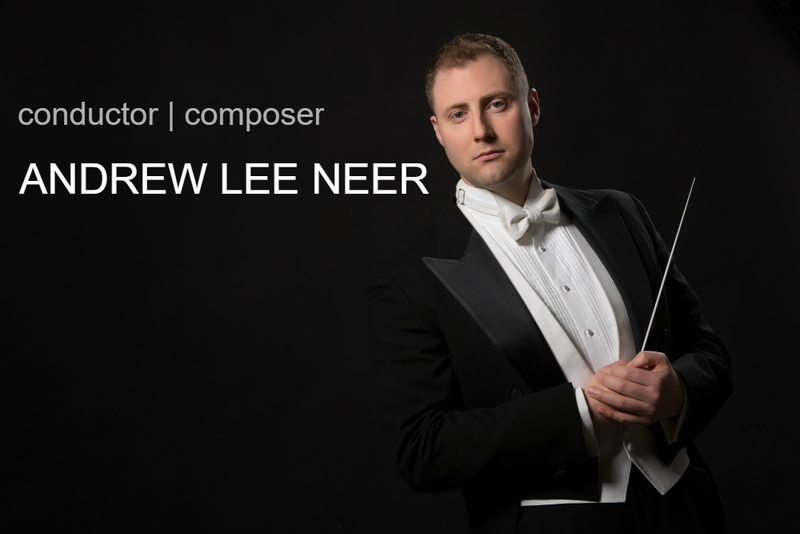 Thank you for visiting the Official website of American Conductor & Composer, Andrew Lee Neer! The site is constantly changing / updating! Please like Andrew Lee Neer on Facebook for the most up-to-date information. New feature, conducting video is easier to access than ever via the "media" tab above. In addition, the images gallery has been completely redesigned and updated with new images. 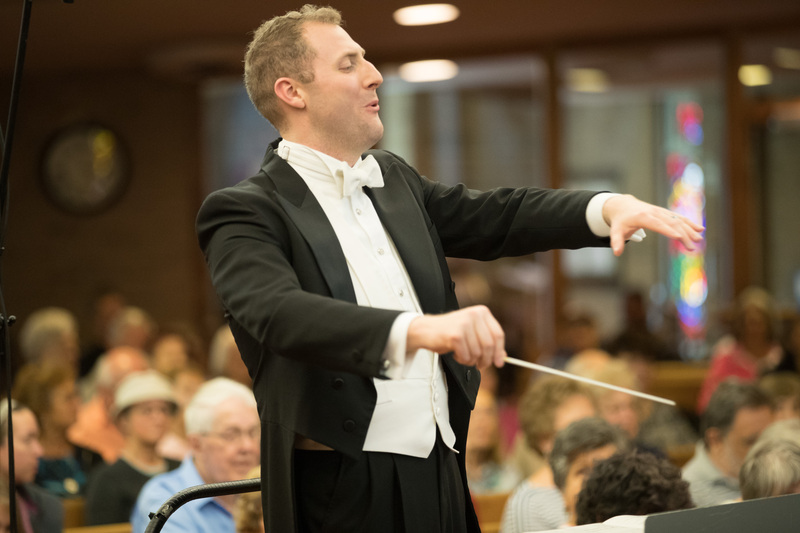 The Works pages are updated with information and now RECORDINGS of select pieces Mr. Neer has written. More features will be available as time goes by. Thank you again for stopping in, please enjoy your stay! 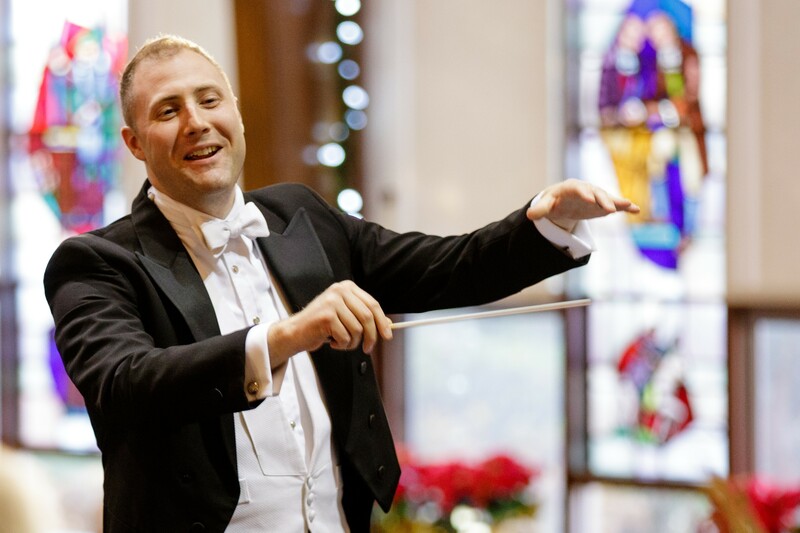 American conductor, Andrew Neer, was born in Tucker, Georgia and currently resides in Grosse Pointe, Michigan with his wife, Mary Lynn. 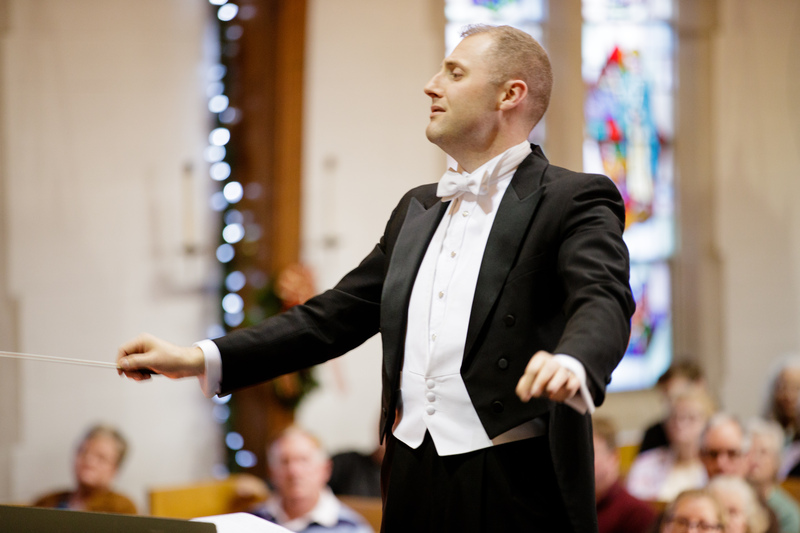 He is quickly becoming known for his dynamic and expressive conducting style. His lifelong passion for music began studying piano at the age of five and continued through private study in piano, voice, and trumpet. He was very active as a young musician performing on many stages. 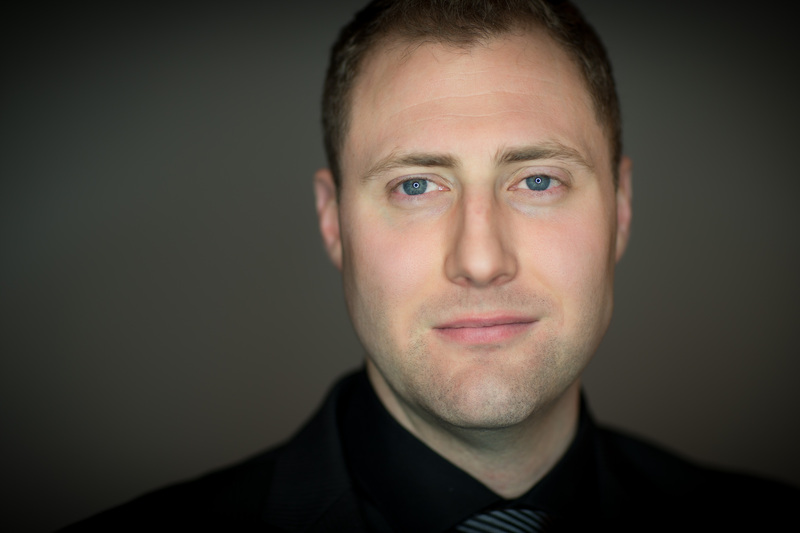 He attended Central Michigan University (CMU) studying Composition, Trumpet and Music Theatre Performance. In his time at CMU, he had the privilege of studying with Dr. Eric Hoy Tucker (voice), Dr. Timothy Caldwell (voice), and Dr. Dennis Horton (trumpet). Though his main focus was on performance and singing, he composed throughout his undergraduate work. In addition to his private instrument instructors, Mr. Neer was privileged to work with composers Scott R. Harding, Jose-Luis Maurtua, and David R. Gillingham. 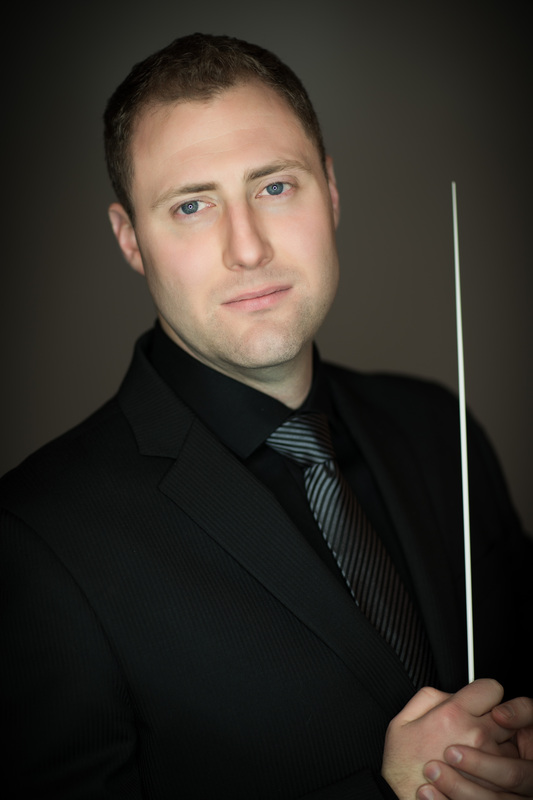 Mr. Neer's compositional career began with a great undertaking writing a spectacle in honour of those lost in the United States Civil War The Battle Grounds for Symphonic Wind Ensemble. Since, he has composed original underscores for several theatrical productions including Moliere's Tartuffe and sought out collaborations on a short ballet A Mother's Love. He was honoured to write music for critically acclaimed performers Dr. Eric Hoy Tucker (Southern Salute) and Dr. Alexandra Mascolo-David. In addition, he has been honoured to compose music for several short films that have toured the independent film competitions. In 2008, Mr. Neer began coursework for a Master of Music (MM) in Composition/Theory at Wayne State University in Detroit MI. While attending Wayne, he had the pleasure of working under the compositional instruction of Dr. James Hartway. In his work with Dr. Hartway, he refined his technique and built upon his "American" sound mixing atonality, serialism, and tonal music. He composed several works for voice, including the song cycle The Village as well as works for chamber and symphonic orchestra. While writing his thesis work for orchestra, Remember Us, he fostered a new found passion for conducting. Upon completion of his Composition degree, he immediately began pursuit of a second MM in Conducting. 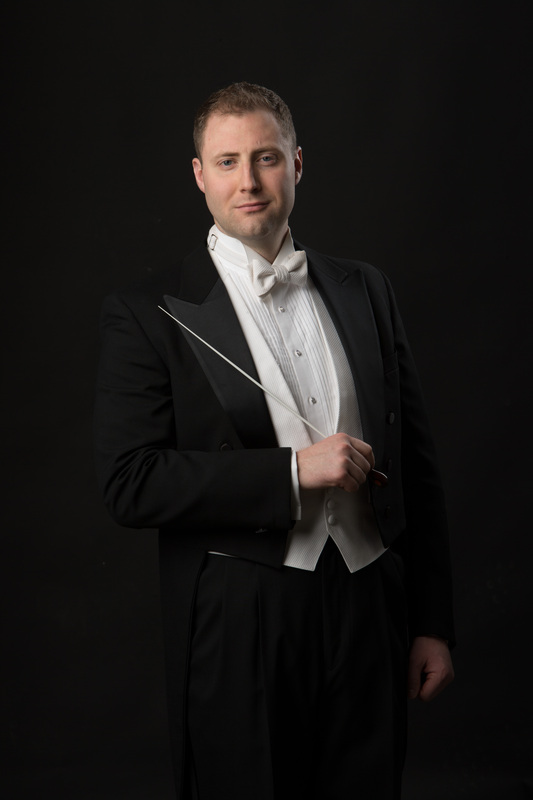 In 2011, Mr. Neer began coursework for a MM in Conducting. In his work, he studied with musicologist Dr. Eldonna May and Theorist Karl Braunschweig. 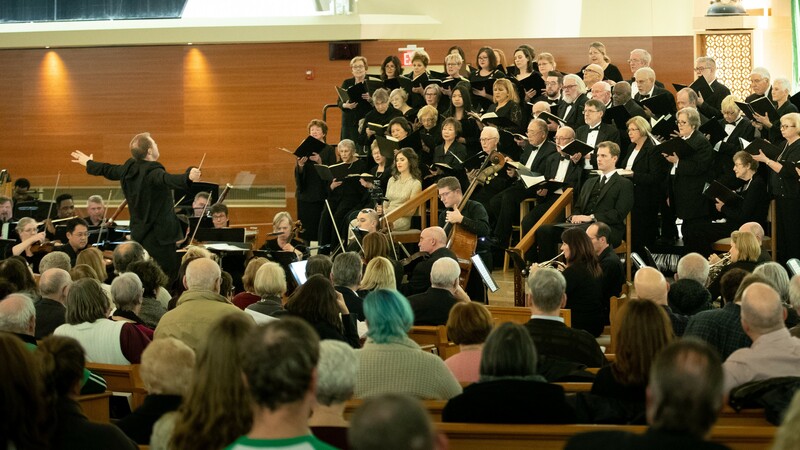 He was given the opportunity to prepare and conduct the choruses for Mozart's Requiem and Handel's Messiah. In addition, he was the graduate assistant for the WSU Symphonic Wind Ensemble and assisted with the instruction of the Warrior Marching Band. He was also asked to conduct the opera productions, including Mikado by Gilbert & Sullivan. 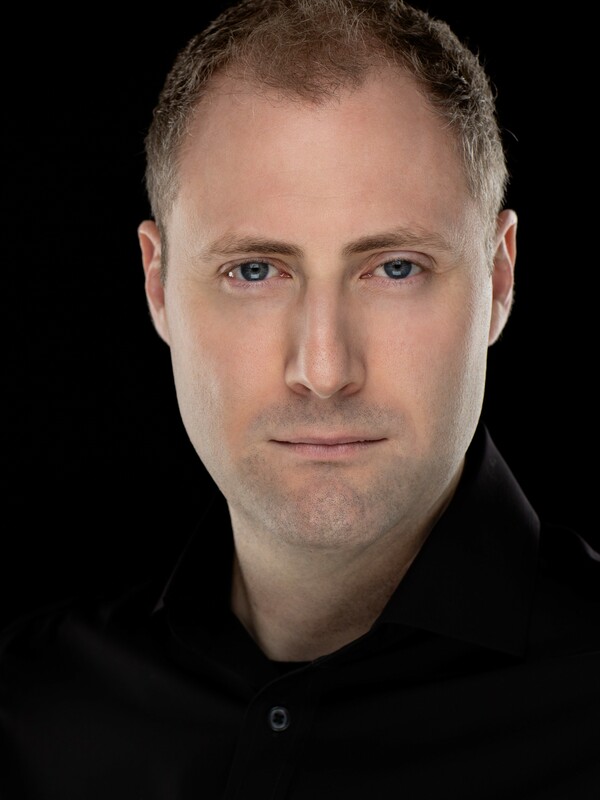 In the summer of 2013, he had the exquisite opportunity to conduct Verdi's La Traviata for Michigan Opera Theatre, receiving high acclaim. 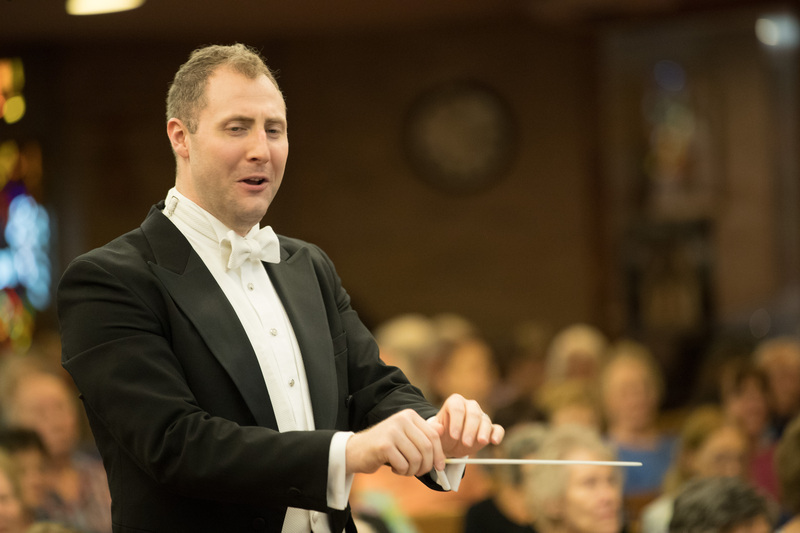 He always had a deep appreciation for opera; however, this opportunity ignited a great passion for opera and Mr. Neer has since conducted performances of Verdi's Rigoletto and Mozart's Cosi fan tutte. 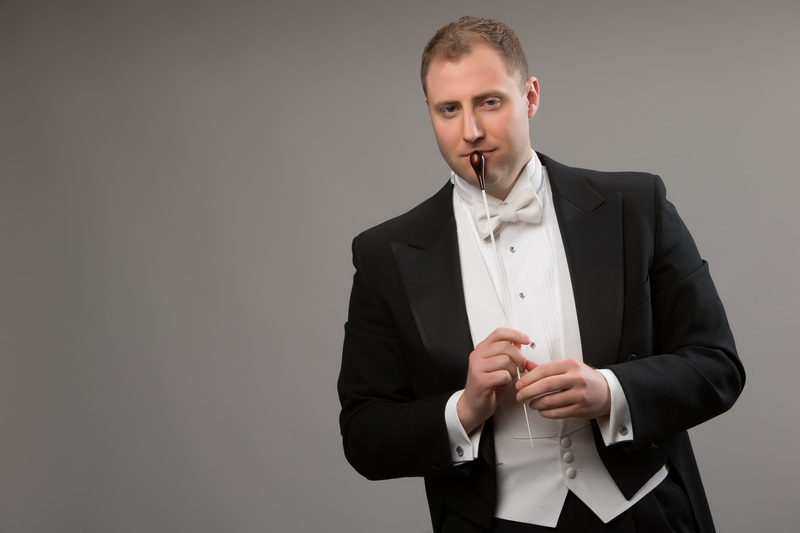 He is a firm believer that opera has great power to embrace all aspects of music and performance by attracting the very greatest vocalists and instrumentalists in one centralized location. 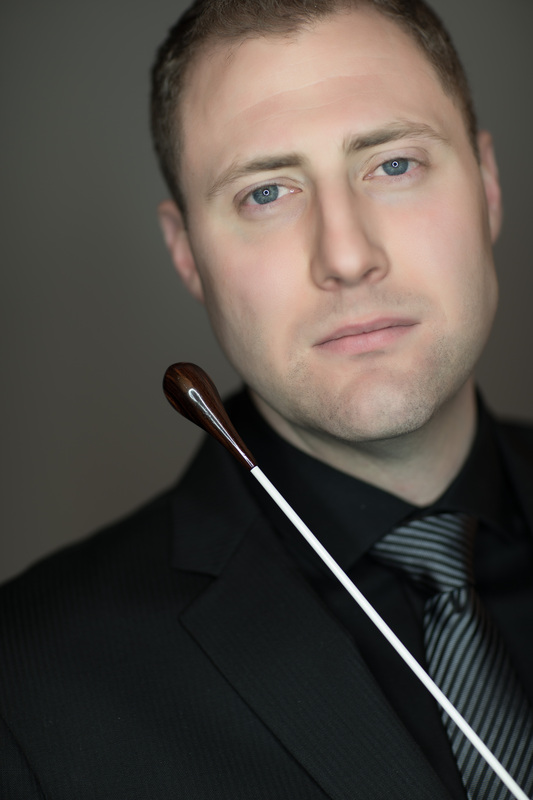 In early 2016, he embarked on an international conducting career, appearing with orchestras in Romania and Bulgaria. Since, he has continued to work diligently to expand his experience and inspiration. 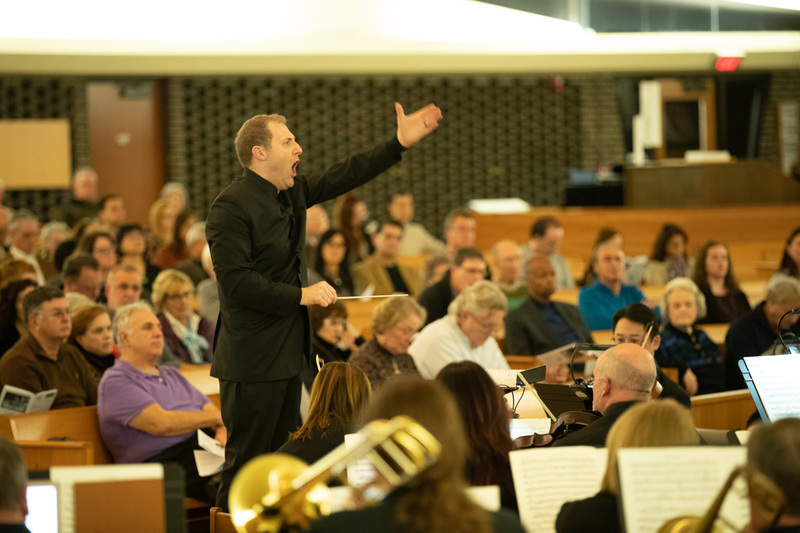 Believing that music is the cornerstone in building community, he assembled a 60 member professional orchestra in Metro-Detroit MI to raise funds for the Hurricane Relief Fund in fall of 2017, raising just over $14,500 for the cause. 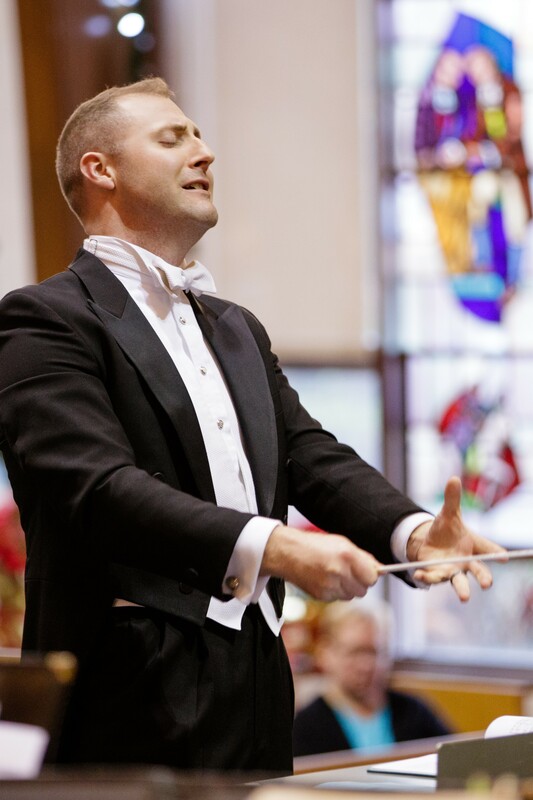 He has studied privately with orchestral conductor and mentor Kenneth Kiesler, in addition to Douglas Bianchi (wind ensemble), and choral conducting with Dr. Norah Duncan IV. He has been a clinician to schools and professional organizations in metropolitan Detroit. 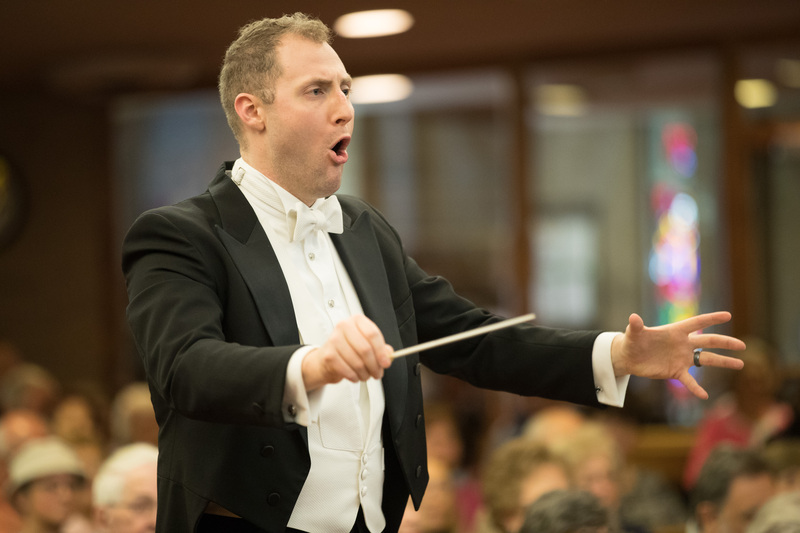 Andrew Neer is honored to serve as the newly appointed Artistic Director/Conductor of the Oakland Choral Society (Bloomfield Hills MI) and the Redford Symphony Orchestra (Redford MI). 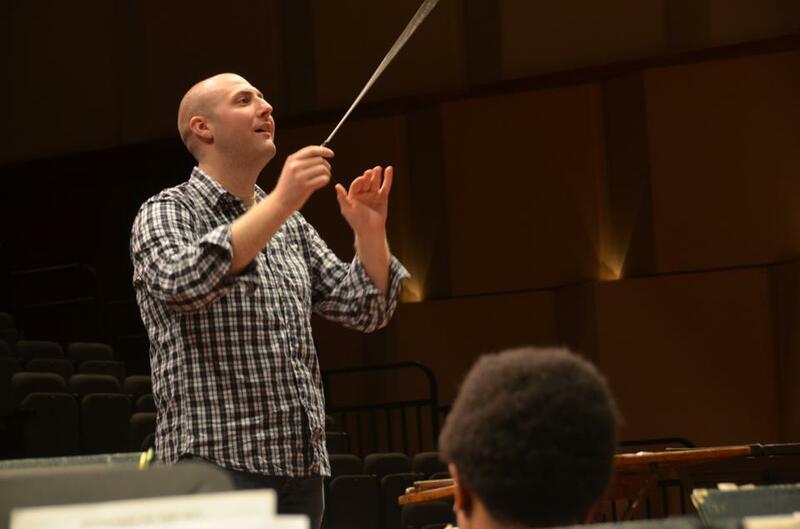 He holds Master of Music degrees in Composition and Conducting from Wayne State University, Detroit MI. 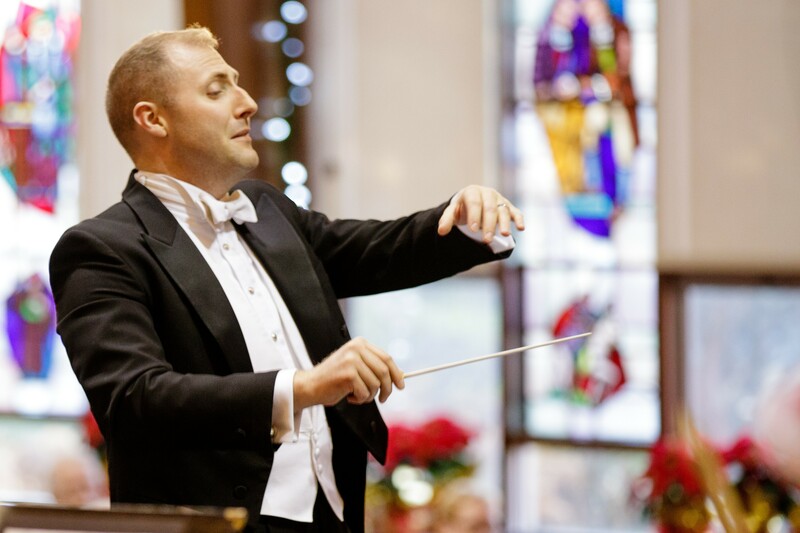 He is an active member of ASCAP, The Conductors Guild, League of American Orchestras, College Orchestra Directors Association (CODA), The Society of Composers International, and alumni to Phi Mu Alpha Sinfonia. He aspires to create new music and opportunities to share music with anyone who may not normally experience orchestral and opera repertoire. He is ever thankful to his wife and parents for their constant support! Please, if you have any questions feel free to contact Andrew Neer and he will return your request as soon as humanly possible. Thank you again for stopping by! Please enjoy the following selected clips of Mr. Neer's conducting footage. The playlist is located in the upper left corner of the video display. This composition came truly from the music itself. It was not until about three-quarters of the way through completion that I placed a title on the work. The idea is that one might take a journey through a cool wooded area in the evening, arriving at a central clearing that displays all the beauty of the moon. As the moon shines, one hears a noise in the woods and frantically travels back from whence they came. Truly, I wrote the music because I was enjoying writing for writing's sake. The title is really incidental, so please, by all means enjoy the music and pull from whatever inspiration you might need when performing. I truly enjoyed writing this, I hope you enjoy listening and performing this work! I began writing this piece with the bassoon in mind, I had no idea how the remainder of the piece would sound, but I had the bassoon statement. In all honesty, for years, I have loved the sound of the bassoon in the upper register. The opening should speak in a stately manner, almost feeling out of time and rather "rubato." For that matter, so long as the ensemble speaks together, the entire opening can feel slightly rubato. I simply ask the performers to please dramatize the music whenever possible. The quick sections should feel overly playful and contrast in dynamic textures should be extravagant! Please, have fun with the music! This was a commissioned work by the Mount Morris High School Band under the direction of James Davis. I was asked to write this piece by Mr. Davis in August of 2007, after many emails and discussions about the group personnel I began to write. I wanted to give them a good piece of music that was both challenging yet playable. Tonality in this piece is very prominent, thought I allowed myself to play with a few borrowed chords. I wanted to add a contemporary feeling as well as keeping the concepts of the piece rather simple. Having mostly focused on smaller ensembles as of late I gladly took on the project, with open arms. The piece was premiered the Spring of 2008 and I am honored that they will be performing the piece in multiple locations! One of which will be the MSBOA Festival. Program notes written by James Davis: "A New Beginning was commissioned by the Mt. Morris Bands. This very challenging work honors the lives of Ken Galbreath and Dennis Anderson, long time music teachers, mentors, and friends in the Mt. Morris School District. The piece begins triumphantly with brass fanfares and a majestic percussion accompaniment. Despite several tempo changes, this new work for Concert Band never stops churning. Hard at work throughout, moving lines keep the pulse steady. 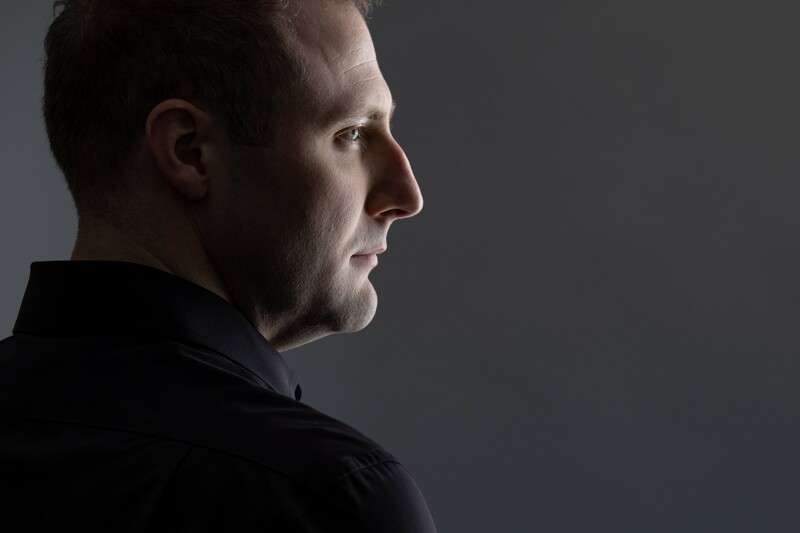 Budding composer, Andrew Neer, captures the life of the music director in A New Beginning. Listeners can sense the urgency, work ethic, determination, and long term vision both Galbreath and Anderson shared amidst the turmoil and tribulations public school teaching, music, and life outside school walls challenged these role models with. 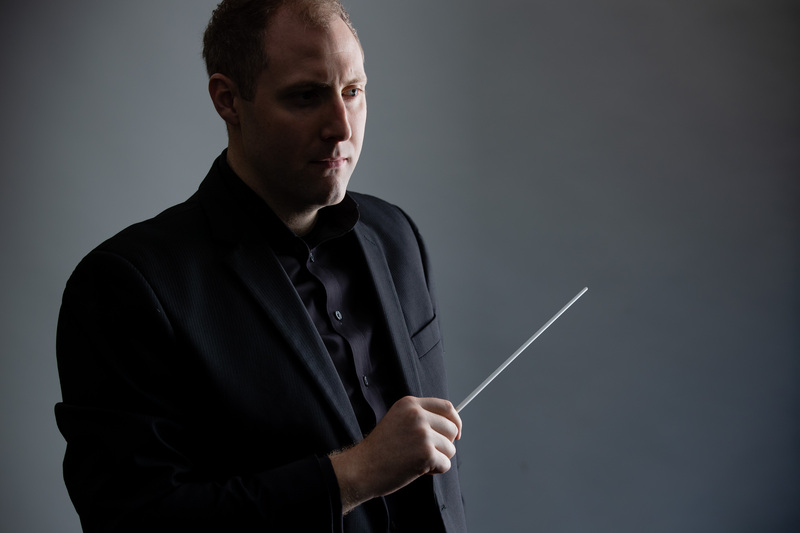 On several occasions Neer's Beginning reveals the pain and hardship all music directors try to mask while leading the youth to an understanding of art and imagination, of wonder and excitement. This piece is a beautiful tribute to these two Mt. Morris legends. The title A New Beginning is as much about Galbreath and Anderson as it is about 'us.' Now 'we' carry their torch and it is 'our' job to share the joy of music with those around us...now without out beloved teachers walking beside us, but rather, watching over us." A Short Ballet. I have always wanted to write a full length ballet. Having not the resources to have a full length ballet performed I wrote a short fifteen minute ballet. This was to show the pain that a mother, or any parent for that matter, endures when faced with the loss of a child. Originally the concept was to title the piece An Everlasting Love, but through the creation process, the choreographer and I agreed that A Mothers Love was a more suiting title. Within the work there is happiness and joy which turns in to anger and regret which turns into longing when what we once had is no longer there to see, hear, or touch. The ballet has the ability reach anyone who has suffered through the loss of a loved one. It also encourages the idea that memories live on even after those we love have passed. Here you will find a select number of Mr. Neer's works. Within the various genres, works are listed beginning with the most recent compositions. All works are available for purchase through Pinebrook Music Company. Pinebrook Music Company is the primary publisher for Andrew Lee Neer, all scores are available for purchase through their website. Many of these works have samples associated with them including either a live or prepared recording. All available recordings are contained within the individual works pages. If you have any questions about the availability of scores, please feel free to contact Andrew via email. A very good friend of mine contacted me in early 2010 ago to write a flute solo based on the texts of Robert Frost. I love setting words to music, but I thought this time Frost would be best served to be recited, instead of sung. The idea is that the narrator will read a theatrical rendition of the text as the piano and flute tell the remainder of the story. Please enjoy the performance of this piece, as I have truly enjoyed writing it! This piece was written as a fanfare/opening number to a brass concert. It is lively and rather upbeat. There is a fun melody and some interestingly simple counterpoint throughout the middle of the piece. It was written with mildly advanced players in mind. Enjoy! After participating in the premier of “Southern Salute,” Dr. Alexandra Mascolo-David suggested that I should consider writing for solo piano. Having studied piano for years, and being slightly out of “form” I was excited to delve into the project. I have completed the score and anxiously await the premier date in the near future. In early January, 2010, I began searching for text to write a choral set. After consulting Joanna Fuchs, I began writing these works based on her poetry. The text is quite lovely and speaks very honestly about our soldiers. My goal was to honor our armed forces of past and present. I found this poetry of Fuchs to be rather honest and inspiring. I did not set out to write a politically affiliated set of choral pieces, rather, pay tribute to our armed forces. I imagine one might see a great deal of patriotic work coming from me in the near future, consider this the first of many. I love America and I am happy to honor those who have and will fight to continue the dream. Please enjoy! Remember Us is a very encompassing work for me. As a crafter of music, I always try to speak to things I feel move people in ways words can no longer express. In musical theatre, music is added because spoken word can no longer express the emotions that are occurring on stage. I do not believe any amount of words can express my gratitude toward the men and women who fight to sustain our freedoms and way of life. In my heart, my gratitude has reached a point where words cannot express my emotion and the end result has been poured out into this piece of music. Where this piece of music is certainly a memorial and honorary to our current soldiers and veterans of foreign wars, there is a larger means of inspiration lying deep within the notes on the page. In 2001, the United States was hit with one of the most devastating acts of violence since the attack on Pearl Harbor. While I am certain I need not go into detail about the events of September 11, it is through that catastrophe this piece emerged. This is a piece of music written for The United States of America and all those who have sacrificed all they possess to keep us free. In keeping true to my compositional voice, I have crafted this work in modernly classical way. Example, the piece opens very sombre, reflective and reminiscent of years past as the trumpet calls out a fair “hello” to the awaiting listener. I have exploited the use of the leap and stepwise motion in order sound out a prideful tune. This opening motif echoes throughout the entire wind section and the majority of the work. For this, I have crafted a melody that is filled with leaps complemented by stepwise motion. The sound should be regal and a sense of pride should overcome the player and listener. As the piece progresses, the melody returns, but not always regal and majestic. At times, it is downright distorted and corrupt, exploited by minor second and major seventh intervals. Though this is the case, it should remain a type of bugle call, for no matter how many times the nation is faced with destruction we rise to the challenge and overcome our strife and oppression. At the onset of panic, clusters of harmonics, mutes, and col legno strings set the tone. The trumpet remains echoed in the horn. There is a sense of restlessness and uncertainty. In my mind, the moments of bravery from citizens, military, and law officials are what helped me to complete this work. After the commotion, there are brief moments of clarity represented by the brass in the form of a chorale. Again, the opening theme returns as we regain pride found in a waving flag. Amidst the commotion, I have crafted a rather sombre, reflective violin solo that speaks of loved ones lost. Again, I have exploited leaps, specifically the major-seventh. This is a lament for all we yearn to see again. The closing is designed to look forward and was crafted to have a very “American” sound. Again, the brass dominates this section, soaring to new heights as our spirits are lifted, never forgetting those lost and always honoring their memory. Dr. Eric Hoy Tucker approached me about writing this set after hearing my work on the cycle Songs for the Lonely.... The idea for this setting was to write a song cycle based on southern Civil War poetry, which I believe was a great success! The voice and the piano work quite nicely ranging from calm, soothing melodies to harsh, dramatic, pointed emotions in the piano. The pieces performed together total about 25 minutes. I have always loved this poem which, as with many Frost poems, has a surface level and generally several deeper levels. In the simplest of terms the speaker is stopping in the woods on a snowy evening and breathes in the calm air and ponders on staying in that serenity before completing his journey. The last two lines are the key to this poem, for what was originally seemingly simple has now moved to a much deeper meaning. "And miles to go before I sleep, And miles to go before I sleep." I have always loved the repetition here because it is no longer a mission to move onward it is a commitment. A commitment to be strong and not give in to the sirens of the woods. To continue onward and complete the journey. Is this poem about death? Is the wood sin and the path righteousness? The woods are temptation for this weary traveller, does he continue and live life, or does he journey into these woods on this the darkest night which may surely bring about his death? That is up to the readers and listeners of the piece. This is one of my first choral endeavours. It is through-composed with melodic elements passing between all the voice parts. I was very interested by this text and found it quite rich in interpretation. I wrote the music with an advanced group in mind capable of rich harmonic textures. Enjoy! This is probably one of the first pieces that I have had recorded. I began writing it my freshman year of college and had completed it come that May (2001). Though it was my first attempt at writing for a large ensemble, I believe it shows off a lot of my ability as a composer. The goal met was to portray a battlefield during the revolutionary war. There are cannons (not really cannons) and the sounds of soldiers sacrificing themselves on the field of battle all throughout the piece. In the end there is a tribute to those who have fallen, then and today. I believe it has the ability to touch the souls of those who listen and play the music. It was written with a professional ensemble in mind but I believe it is playable at the advanced high school or intermediate college level. Enjoy! For a long time now, I have loved these three poems. I finally decided to set them together this year in a short cycle. For me, the music truly came from the text. I did not want the music to appear to be more important than the lyrics, rather the lyrics more important than the music. These th	ree poems are very story-like in their application which made it very easy to highlight the text. What I have created is a mere accompaniment to the brilliant texts of Longfellow. I hope you enjoy this cycle, I have truly enjoyed writing it! To say the least, Homer's Trojan War is one of the most talked about wars in the history of mankind. Since I first read The Odyssey as a young boy I have been fascinated with the epic tale. This is a War over love and possession, or better, obsession. In this piece, Troy, I wanted to depict the essence of the battle and why it was fought, and ultimately, portray the demise of the city of Troy. The music tells the story, from the landing on the shores, to the death of Hector and ultimately with him the remainder of the Trojan army. This piece contains a rather "fun" Flute solo, as well as other featured instruments. It is officially awaiting a premier. © 2007-19, Andrew Lee Neer, MI. All Rights Reserved.